This functional lamp table is a functional addition to your home. Featuring an oval table top and lower magazine storage, with a mounted table lamp, this lamp end table provides everything you need within reach of your seating. 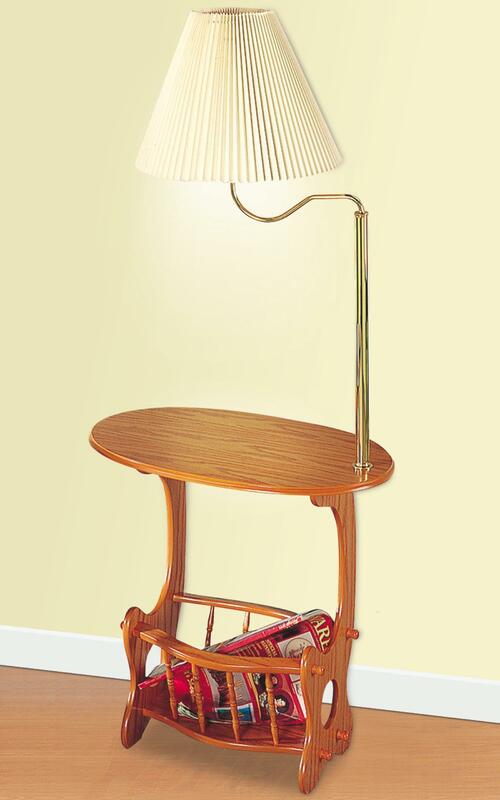 The Accent Tables Magazine Storage Lamp Table by Coaster at Northeast Factory Direct in the Cleveland, Eastlake, Westlake, Mentor, Medina, Macedonia, Ohio area. Product availability may vary. Contact us for the most current availability on this product.